The SAT, administered by the College Board, is a test that millions of students have taken. Yet of those millions of students, only a select few have received scores so exceptional that they can dramatically increase the chances of winning scholarships and the college admission of their dreams. So, what does a student need to know to ace the SAT and improve their chances at success at the next level? Here’s what you need to know. What Score Will You Need? The highest possible score on the SAT is 1600—that’s a perfect 800 on both Math and Evidence-Based Reading/Writing. However, a perfect score is quite rare. A recent report showed that only 7% of students scored higher than 1400. For our purposes here, we’ll assume “acing” is a matter of scoring in that top 7%, a score anyone could be proud of. With a “mean” score of about 1068, a score of 1400 would put you well above the national average. With that in mind, how should a student approach the SAT and give themselves the best possible chance at “acing” it? Practice, practice, practice. There’s simply no way around it. According to the College Board’s results, there were demonstrable effects that took place the more a student studied. This advance preparation was particularly pronounced for those who took formal classes or training that was specifically aimed at helping them with the SAT. For that reason, it is a good idea to register for an SAT preparation class as soon as possible. Practice tests. Studying isn’t enough. Taking practice tests will help a student earn “repetitions,” giving them the simulated feeling of taking the test. This boosts their confidence and helps them relax on the day of the actual test. Shoring up weaknesses. Mathematics and reading/writing comprehension comprise a wide range of skills. It’s important for students to understand their weaknesses and to work hard to shore them up. This will minimize any damage done on a portion of the test that would otherwise be difficult for them to master. Proper nutrition and sleep. Avoiding “cramming” for the exam the night before is vital here. Proper nutrition and sleep can promote healthy studying habits and help boost memory retention, which in turn gives the student the best possible chance at acing the SAT. These habits are all great for ensuring a higher test score. But to truly ace the SAT, a little outside help could be the advantage you need. That’s where an experienced tutor can be a game-changer for students. 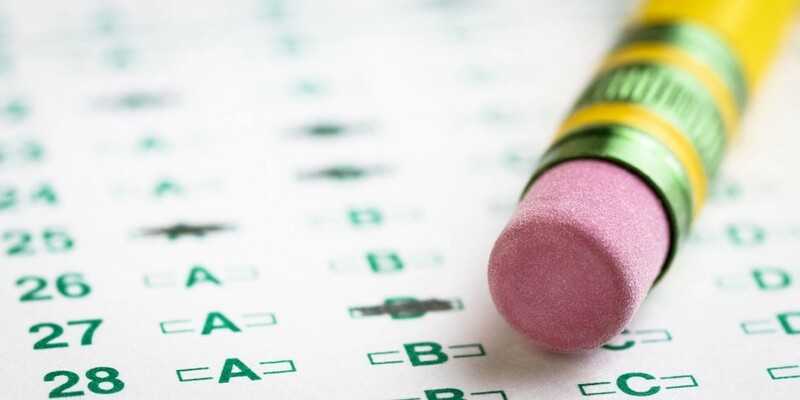 With the proper guidance, a student can learn where they need to shore up their weaknesses and enhance their strengths, as well as some test-taking strategies that can make a huge difference on the day of the exam. At Jantzi Test Prep, we offer expert SAT prep tutoring services to help individual students understand exactly what will be expected of them as they prepare for this life-changing exam. Let us help you ace the SAT!